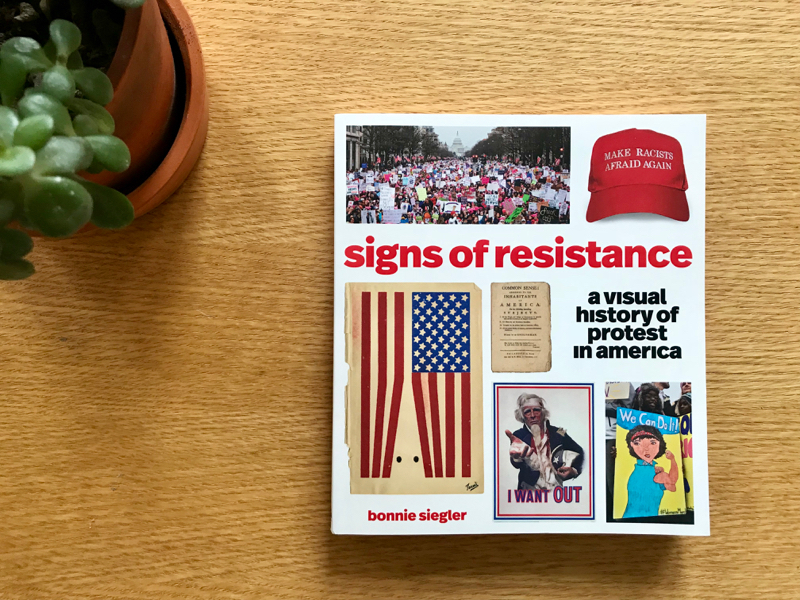 My talented designer friend Bonnie Siegler put together the coolest book just in time for President’s Day: Signs of Resistance: A Visual History of Protest in America. I helped a little with the editing and while I was working on it, I noticed that my kids couldn’t help but pick up the pages lying around the house to pore through the powerful (sometimes hilarious) broadsides, posters, letters, march signs, memes, and magazine covers chronicling dissent from Revolutionary America through Trump’s America. It is inspiring and also just so cool. Check it out. What to Cook and Eat while watching the 2018 Winter Olympics. Or you can just make Molly’s insane Team USA cake. Please watch the video, it’s priceless. Disturbing or Encouraging: Yale’s Most Popular Course Ever. Speaking of which, I love everything about the digital gratitude app Happy Feed. Last week, for the Super Bowl, we ordered a ton of smoked meats and comfort food-y sides from Revenge BBQ (a local place we are obsessed with) and to counter all that richness, we started with an array of these roasted vegetable dips. They were a huge hit and — bonus — I got to spread leftovers on good multigrain toast for lunch the next day. We also served this icebox cake, which officially canceled out any nutritional benefits of the roasted vegetable dips. Such a great idea: A pediatrician made his kid sign a contract before giving him his first cell phone, and lucky for us, he made it downloadable. I keep thinking about this essay. From the archives: Sweetheart Pizzas and Valentine Mad Libs. I’ll be talking family dinner and more at the Family Food Festival in Brooklyn on March 4th in Brooklyn. Come hang out for a day of cooking, tasting and learning. There will be demos, hands-on cooking classes and way way more. Come hang out! Lastly, one of the most meaningful moments in this blog’s history was when DALS readers stepped up in droves to sponsor families in need through national nonprofit Family-to-Family. For those of you not familiar with the program, every month a sponsor gives money towards another family’s grocery bill (usually around $35) plus personal care items or specific donations requested through letters. They’re looking for more sponsors and I’m posting this plea again to humbly request that you consider signing up — trust me when I say it makes a huge impact on children’s lives. FTF also offers opportunities to help refugee families, and sponsor vets and Holocaust survivors. If you sign up for any program, forward your confirmation to me, jenny AT dinneralovestory DOT COM, and the first five to do so will get a free copy of any one of my books. Thank you, everyone. It means a lot. Thank you so much for sharing the Happy Feed app! I’ve been looking for something simple and private (but digital) to use for daily gratitude entries! I will be adding to it today that I ordered DALS playbook and print copy of DALS (I already have DALS on Kindle)! Thank you for posting about Family-to-Family. I signed my family up and we are looking forward to writing our first letter to our family match!